As of January 13, 2013, Artemis Art is now part of Publika Shopping Gallery, located within the Solaris Dutamas complex, just off Jalan Duta, close to MATRADE and the Wilayah Mosque. Publika can be somewhat confusing for those who may not be entirely familiar with the place. 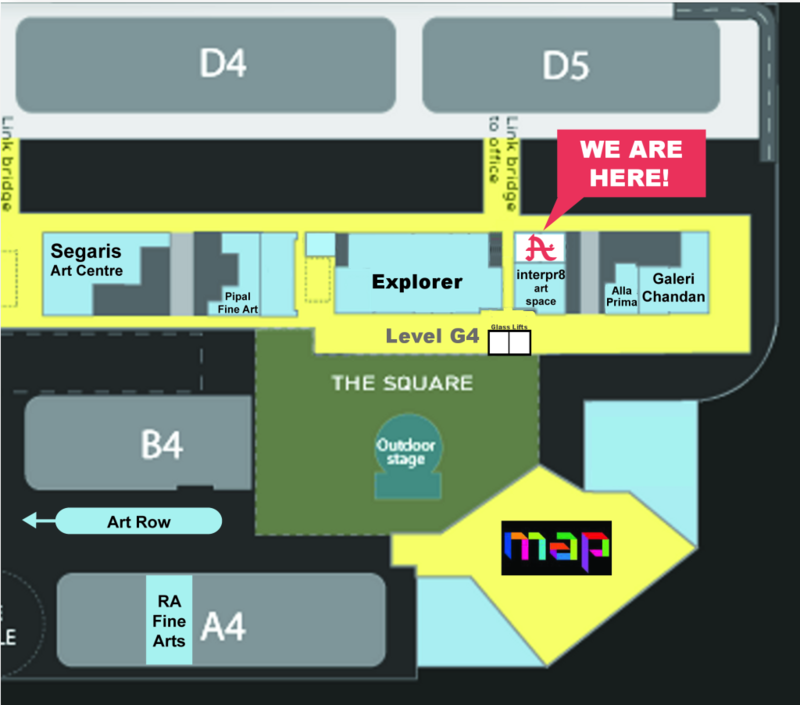 We are located on Level G4 at Block C5, which is two levels above The Square. If you take the glass lift to Level G4, we are further down the small corridor just opposite the lifts, on the right immediately before the link bridge to Block D5. Please note that the signage nearest the glass lift does not indicate Block C5. Rather, walk in the direction indicated by ‘Block D1 – D5‘. We are in the process of updating our quick guide on how to get to our gallery. We will provide the link here once it is available. If you’re using a GPS, to get to Publika/Solaris Dutamas, set the coordinates to 3.170608, 101.665925 (North: +3° 10′ 14.19″, East: +101° 39′ 57.33″).